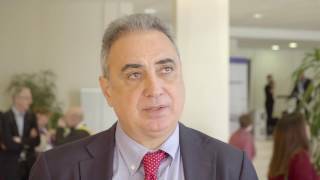 EBMT 2017 | Can transplant quality be improved by training medical personnel? Riccardo Saccardi, MD, from Careggi University Hospital, Florence, Italy, discusses education for physicians about transplantation at the 2017 annual meeting of the European Society for Blood and Marrow Transplantation (EBMT) in Marseille, France. He explains that the standards for transplantation are updated every three years, and highlights the importance of physicians being familiar with the latest guidelines, which cover the whole process of transplantation. Dr Saccardi speaks about how the selection and training of physicians and other medical personnel can be carried out and their competence across their career guaranteed, and highlights how this will impact the quality of the transplant regardless of location.